"Ding" Darling is back open for business! After being closed for the summer for major road repairs, and general upgrades, the J.N. National Wildlife Refuge is back open for business! It was a rocky re-opening, as just when the Refuge was about to open, we had the federal government shutdown. When the Refuge finally opened this past Thursday, the refuge manager offered free admission for the day! I took advantage of the opportunity and enjoyed a lovely bike ride, on the newly paved Wildlife Drive around 5:30 in the afternoon. The light was magical - low and glowing. There were some birds but the main thing I saw was a 4 foot aligator. I am really glad I jumped on my bike as the Refuge resumed its regular schedule and was closed on Friday! We're happy to welcome back all the Refuge workers and we are looking forward to a busy year as we let our wildlife entertain us! With over 60% of Sanibel Island being preserve property, there is always something fun to see! See below for information about our ongoing "Ding Darling Days." The main road, Wildlife Drive, has been resurfaced with concrete pavement for long life, as well as help with future road maintenance. Improvements were also made to the parking area, observation tower, Calusa Shell Mound Trail and the Wulfert Keys Trail. The Refuge is one of Sanibel Island's major attractions and it's great to have it open to the public again. If you are in the area, or planning to visit, visiting the Wildlife Refuge is a must! There are three major trails as well as the four-mile main Wildlife Drive. There is the four-mile Indigo Trail, the quarter mile Shell Mound Trail and the quarter mile Wulfert Keys Trail. And, of course, there is the visitor's center just next to the parking area. The Center tells the history of "Ding" as well as all the wildlife you can expect to see along the trails. Be sure to bring your camera! The Refuge opened just in time for "Ding Darling Days," which offers events from tram tours, to wildlife presentations, and even fun things for the kids like archery. The event is underway from October 20 to October 26th. Stop on by and enjoy all there is to offer! You can check out events for Ding Darling Days Here. In other news, we had our first cold front last week where our temp dipped below 70 degrees! Although I think the dip happened in the middle of the night. Summer is definitely over and our daytime temps have been in the mid 80s. This means it's time for our part-time residents to return for our fantastic winter season. We also have a GREAT inventory of properties for sale on the islands. 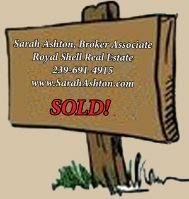 Contact me and can make you a Sanibel-Captiva Island resident! Whether it's a home, homesite or condo, I can find you the perfect place in paradise! There is always something fun to do on the islands and it's time you made this area your home! Miles of beach, shopping, 20+ miles of bike/walking trails, the best restaurants, and lots and lots of natural environment for you to enjoy - Call Me Today!